I love Eden! It’s everything that the more touristy towns further north aren’t. As you drive in it feels like the last frontier, which it is, before heading further south in to Mexican territory. The area is steeped in whaling history and a visit to the Eden Killer Whale Museum is a must. Eden is also the gateway to Ben Boyd National Park and the 30km Light to Light walk. The kangaroos are so tame at the Saltwater Creek campsite that they can be real pests, and will eat your dinner off your plate while you’re not looking! Back in town, things are more sedate. Cuppaz Cafe on the main drag is one of the few cafes in town and is a hamburger joint/cafe/book exchange, all rolled in to one. 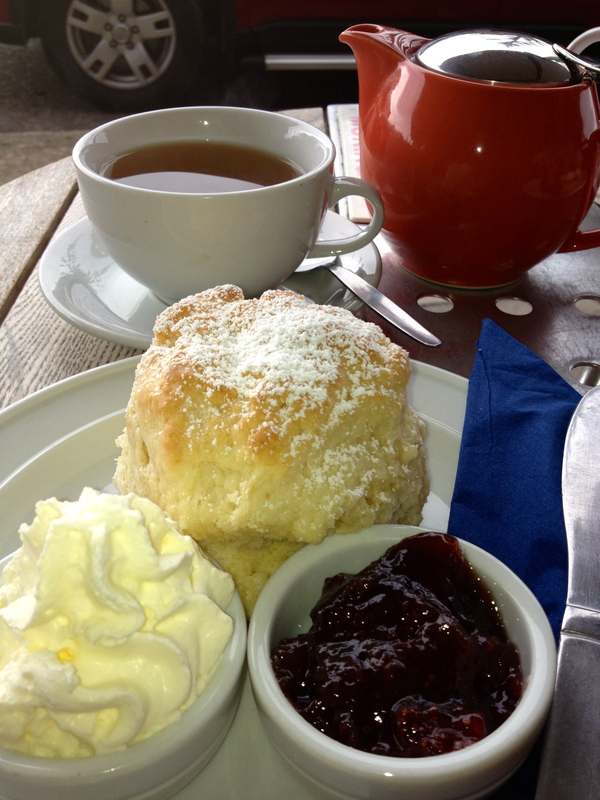 Although not advertised, they have a Devonshire Tea option that offers the usual except only a single scone. The scone looks fresh and arrives dusted with icing sugar, however turns out to be underwhelming and a bit dry. It’s accompanied with your stock-standard jam and another pot of airy light cream. Oh well, it doesn’t change my mind about Eden. Tea: Limited varieties in both loose-leaf tea and teabags. Overall: A nice vibe on the main drag.